Moral Courage: There’s An App For That! What’s Moral Courage? Do I have it? Do you? Moral Courage is the willingness to speak truth to power and risk backlash for a greater good. And now there’s an App we’ve designed that guide you through your moral courage journey. Currently the App can support 17 languages and counting. 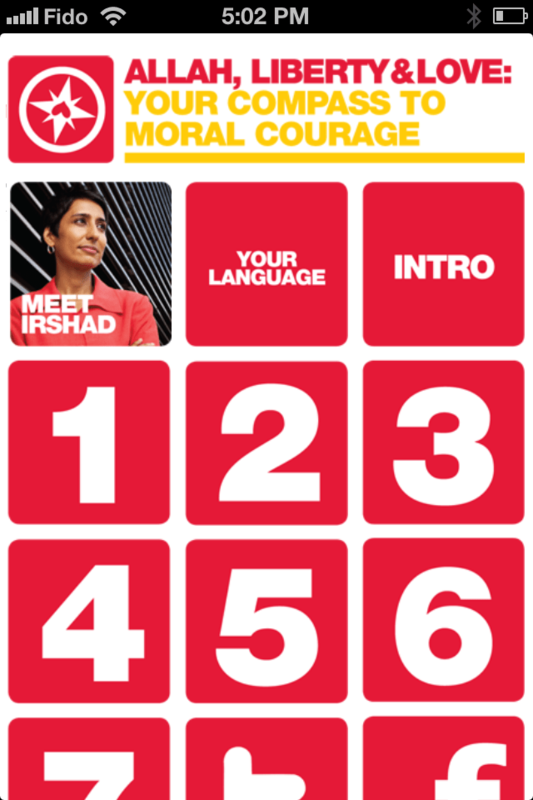 The Moral Courage Project (MCP) is lead by Professor Irshad Manji out of New York University’s Robert F. Wagner Graduate School of Public Service and through the MCP website which serves as a hub for students around the world. If you have questions about MCP you can always send me an email and as one of the Canadian ambassadors for the project I can help you get involved or answer questions. Don’t forget to download the App (it’s free!) and look for my video question in the Ask Irshad section.